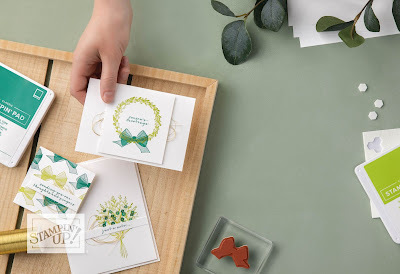 This month's online class features projects using the beautiful Wishing You Well stamp set from the Holiday Catalog. I LOVE this set and couldn't wait to share these cards with you. In this class you will make 8 cards (2 each of 4 designs) featuring this stamp set. A little twist to these cards is one set of the 4 designs uses the Country Lane designer series paper and the second set of 4 four of the same layout uses the Frosted Floral specialty designer series paper. Here's a sneak peek of all 8 cards!! What do you think? Same layouts, just featuring different pattern papers and colors of ink. How Do I Get This Class in the Mail? Place a $40 order at my online store (before shipping and tax) and use the Hostess Code 4P7DBGX9 . 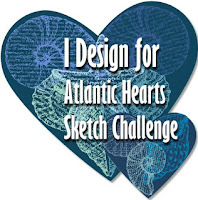 I will mail you the 8 card kits - all the cardstock will be cut and scored, all the dsp will be cut, envelopes will be provided along with all the embellishments. FOR FREE you will receive not only the PDF instructions for the cards but a pack of Frosted & Clear Epoxy Droplets!! Deadline to place your order is Sunday, October 14th.